Mahi-mahi is an excellent fish and, though you may have had it in restaurants, it's as easy as any other fish to cook at home. In this recipe, mahi-mahi fillets are seared on the stovetop, finished under the broiler, and flavored with a light lemon-dill sauce. It's a quick and simple way to enjoy this particular fish. 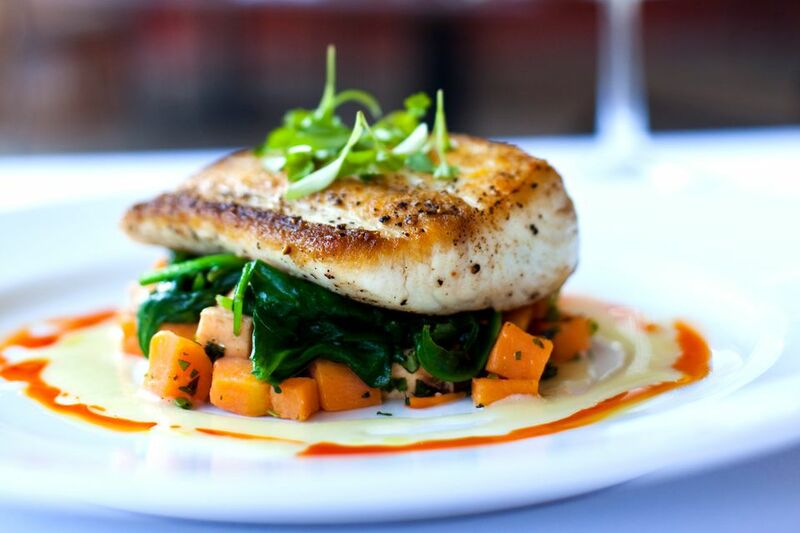 Mahi-mahi is also known as dorado and dolphinfish, but don't worry, it is definitely not Flipper! Even though mahi-mahi is sometimes labeled "dolphin," it's not a mammal. It most definitely is a fish with a mild, sweet flesh that starts off pinkish and medium-firm when raw. It turns white, tender, and moist when cooked. It is a firm-fleshed, moderately fat fish with a flavor just a bit stronger than mild whitefish. Rub each mahi-mahi fillet with olive oil, then sprinkle both sides of the fish with each of the seasonings. Add wine, lemon juice, honey mustard, and dill to the hot skillet. Whisk, scraping up any browned bits, and cook until the liquid is slightly reduced and thickened. Whisk in the remaining tablespoon of butter. Return fish to the skillet, uncooked side up. Place under the broiler 6 inches from the heat and broil 8 to 10 minutes, depending on the thickness of the fish. Mahi mahi-mahi should feel firm to the touch and have a fresh, almost neutral scent. Whether fresh or frozen, mahi-mahi should be pink with red stripes or spots, and occasional light brown or bluish tinges. Dark red blood lines or spots are okay but should be trimmed before cooking for a milder flavor. The skin color of mahi-mahi can range from silver to dark gray, with small black spots and yellow or golden streaks. It should look moist and shiny, not dry and lifeless. If you cannot find mahi-mahi, you may substitute any firm-fleshed, thick fish fillets. Halibut, marlin, and sturgeon are some of the substitutes you might consider.